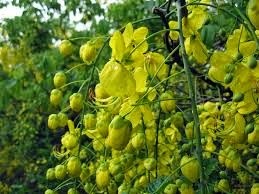 Yeah laburnum...and oh what a fragrance it has. 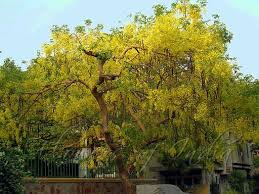 You know Susannah there is a street here in Delhi and it looks glorious because both sides have luburnum...but there is still time for that glory to hit Delhi. We get to see them here in Pune too, a welcome sight in the summer. Like that poem from the Sangam age.